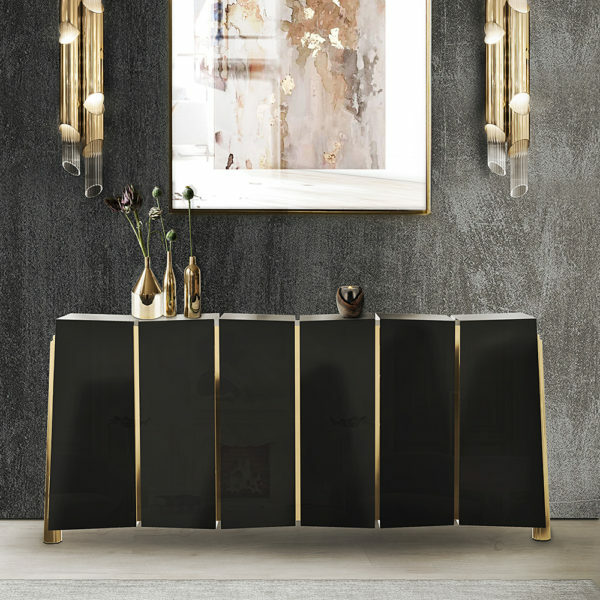 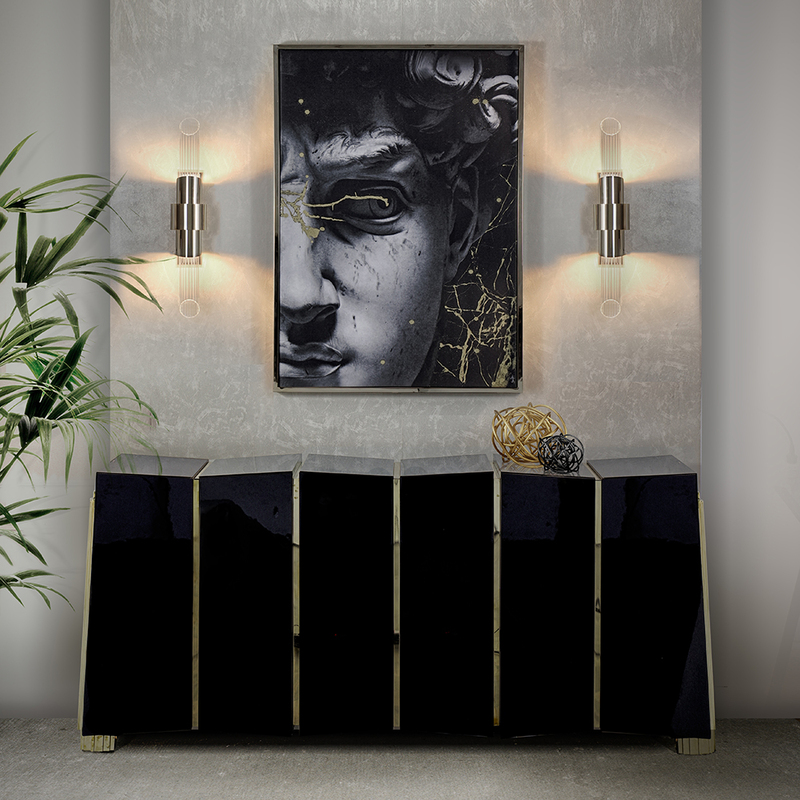 A gorgeous sideboard with a dramatic design which is guaranteed to add charm to your home. 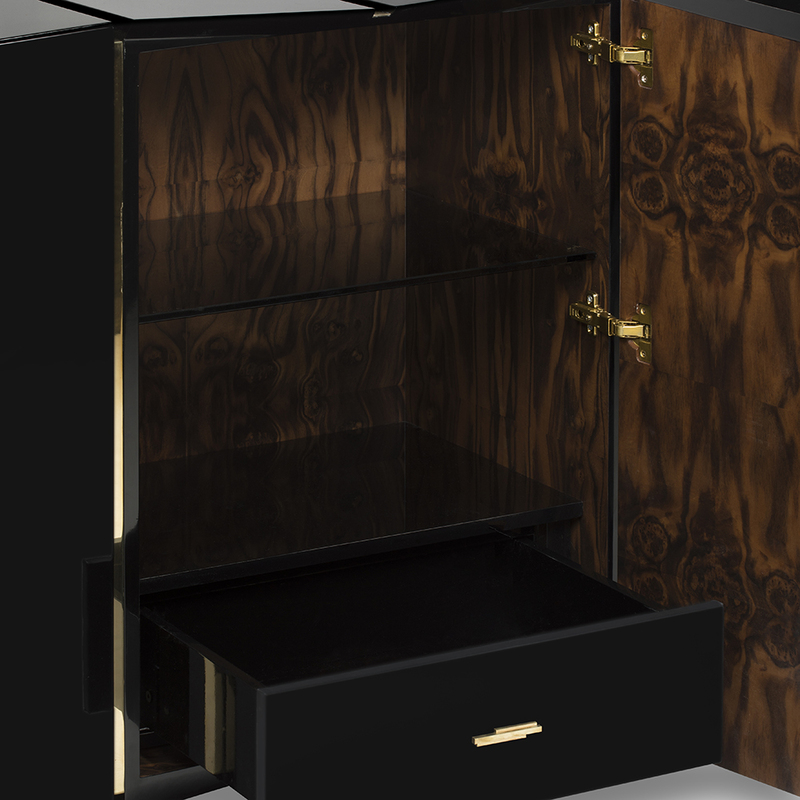 A perfect storage solution with a combination of cupboards, shelves and drawers. 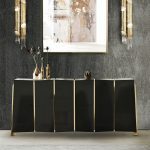 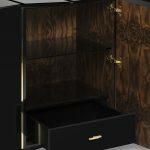 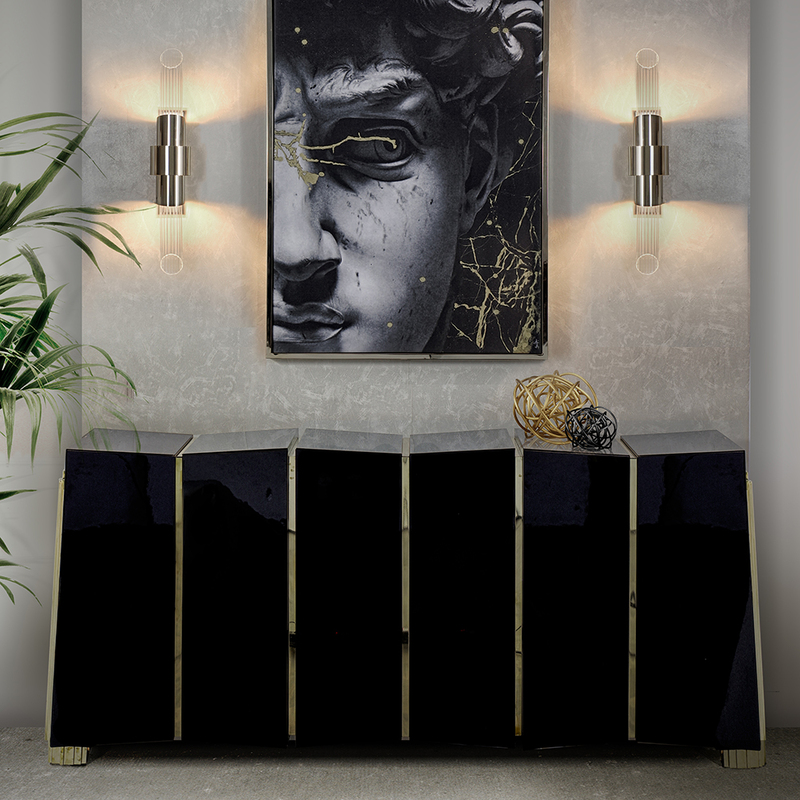 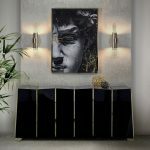 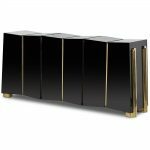 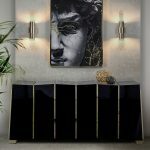 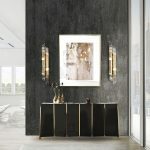 The darian 3 door luxury sideboard is also available in bespoke sizes. 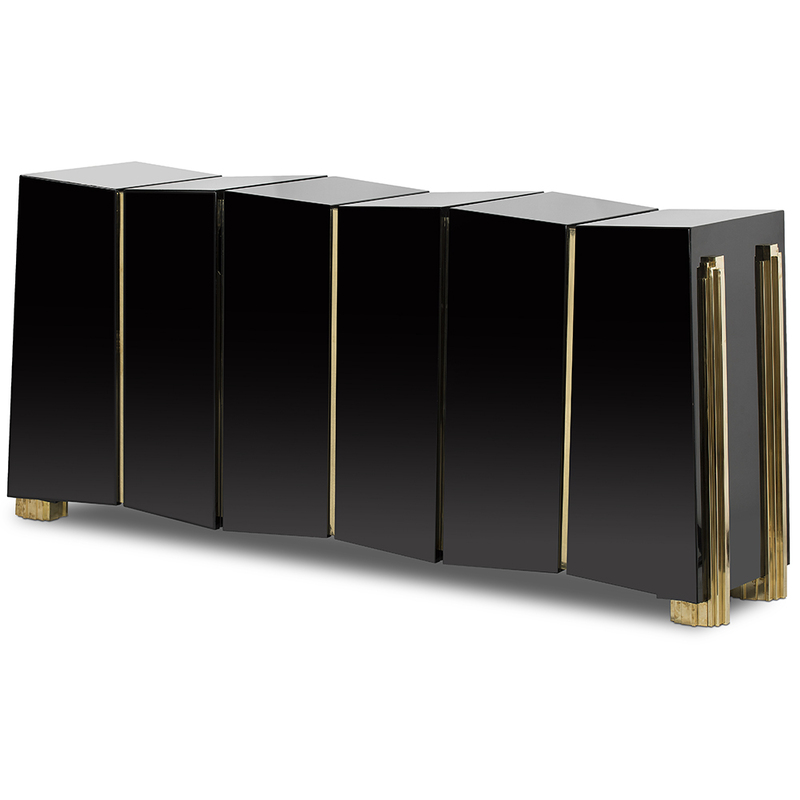 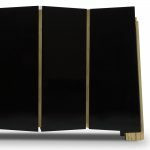 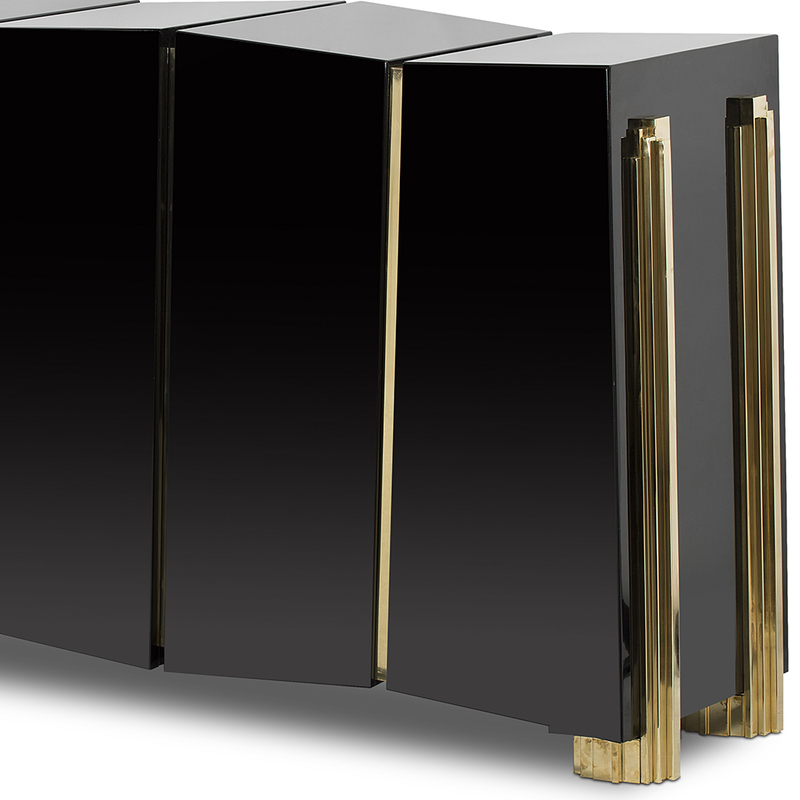 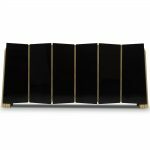 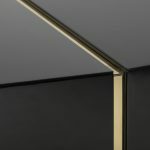 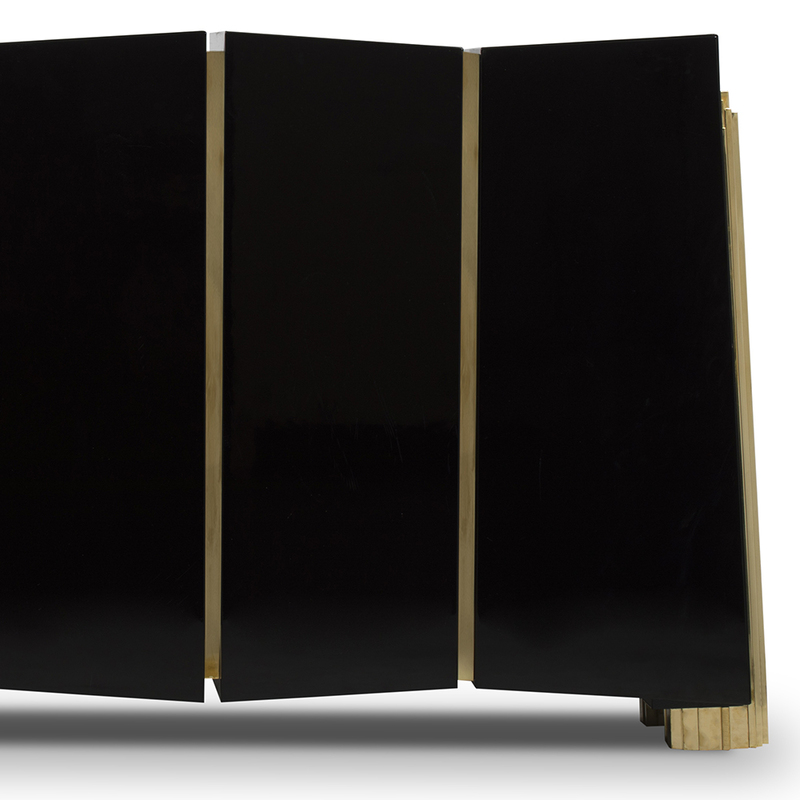 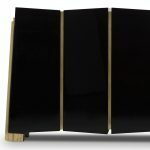 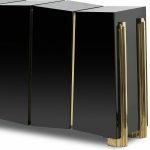 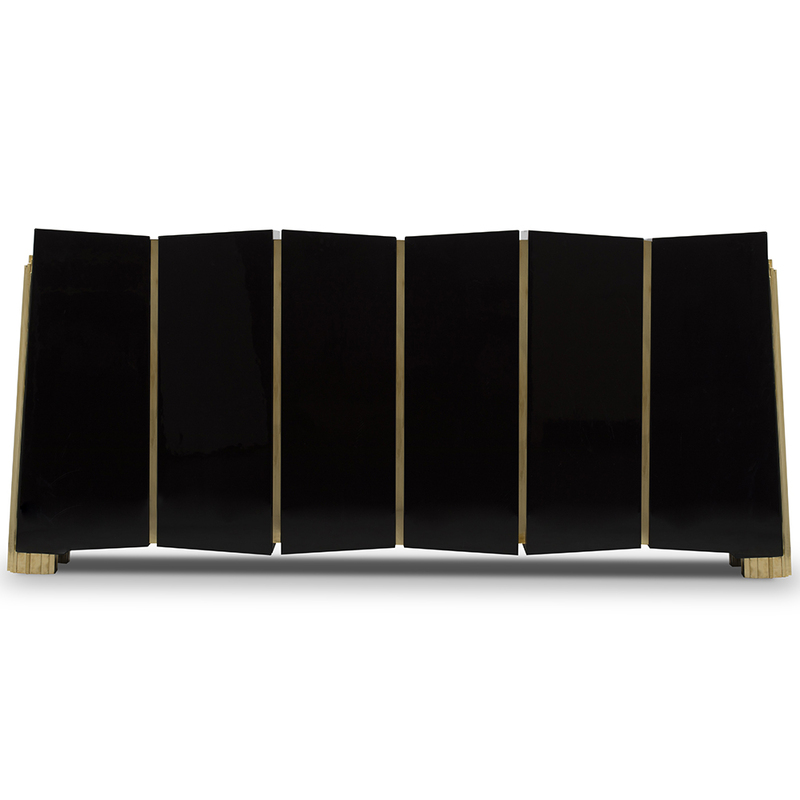 The structure of this piece is built from solid wood with a striking black lacquered finish. Custom colours can also be produced. 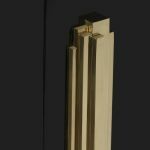 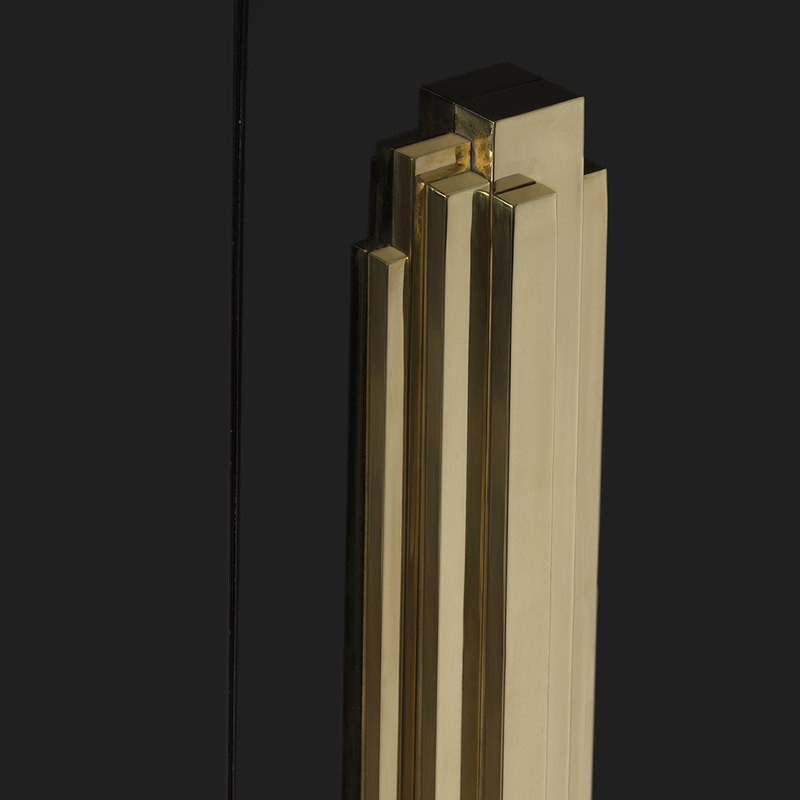 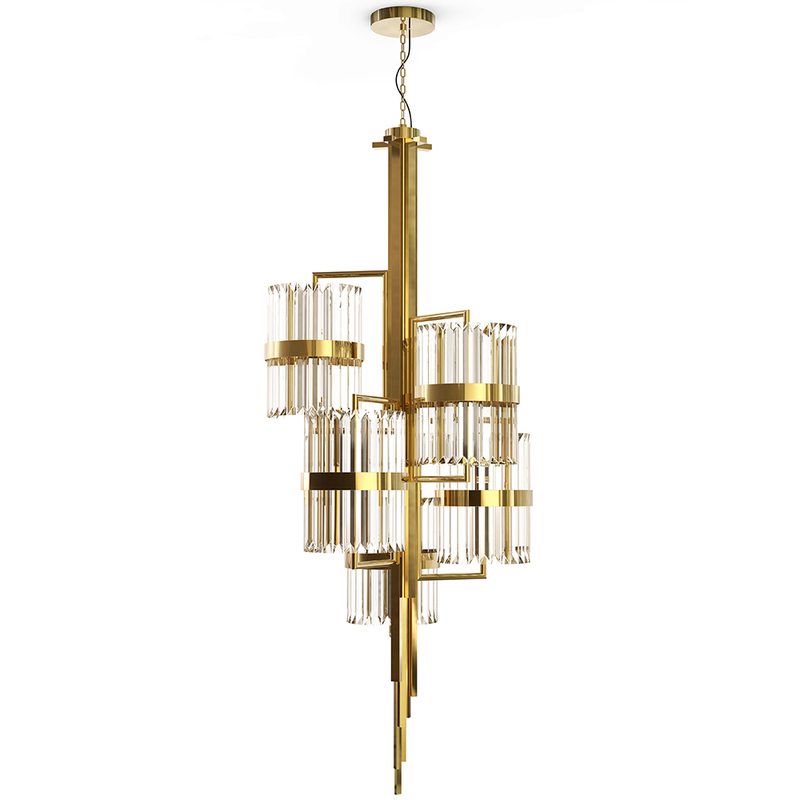 The legs and the details are made from solid polished brass for a rich gold finish. 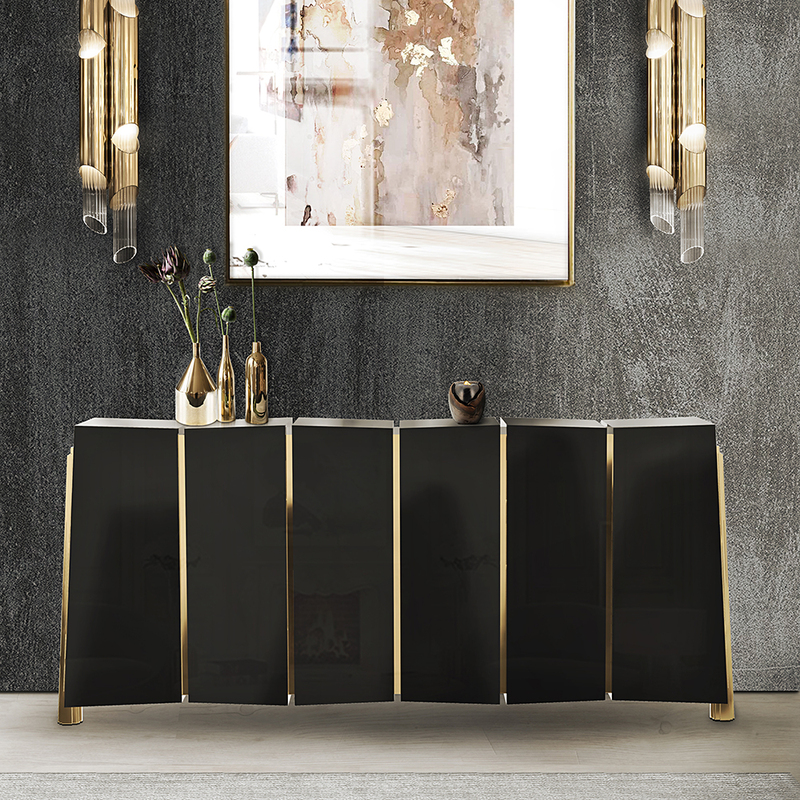 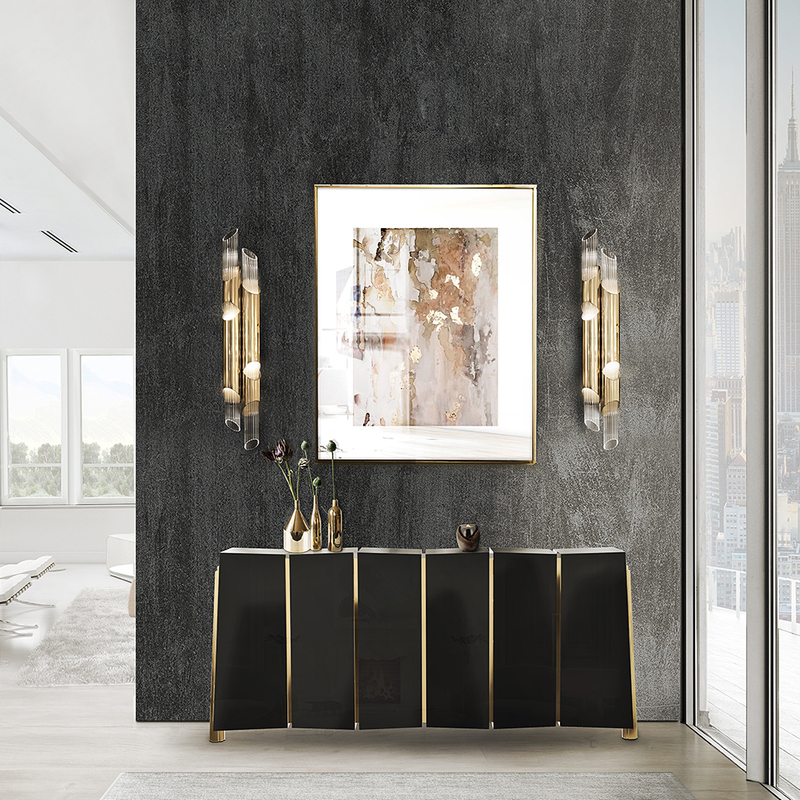 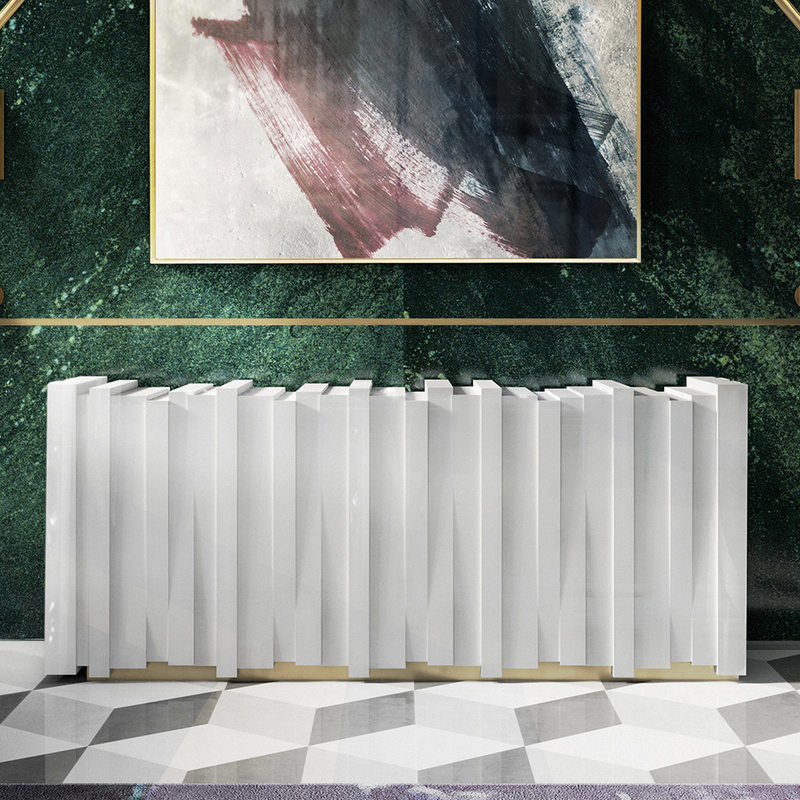 A designer sideboard perfect for a modern and contemporary setting.